SINGAPORE - There will be a standard, no-frills medical insurance plan pegged at the private B1 class in public hospitals from May 1. This plan, set up by the Ministry of Health (MOH), will be offered by all five insurers that have private medical plans integrated (IP) with MediShield Life. 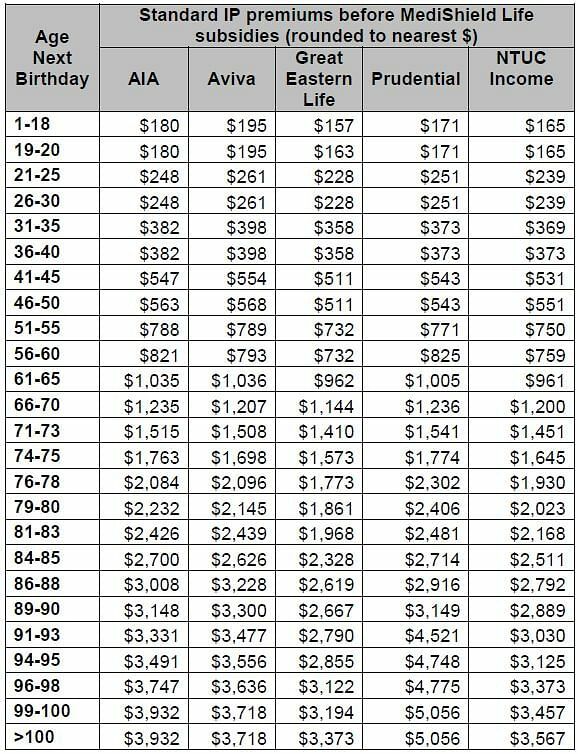 However, the premiums the insurers charge differ, by as much as $1,683 a year, even though the benefits are identical. The MOH said the different premiums is because of "each insurer's commercial considerations and risk assessment frameworks". Since November last year, 3.9 million people, or all Singaporeans and permanent residents, have been covered by the basic MediShield Life. Of them, almost two in three have also bought IPs that cover them for private treatment rates. Private hospital IPs account for 56 per cent, A class for 25 per cent and B1 for 19 per cent. 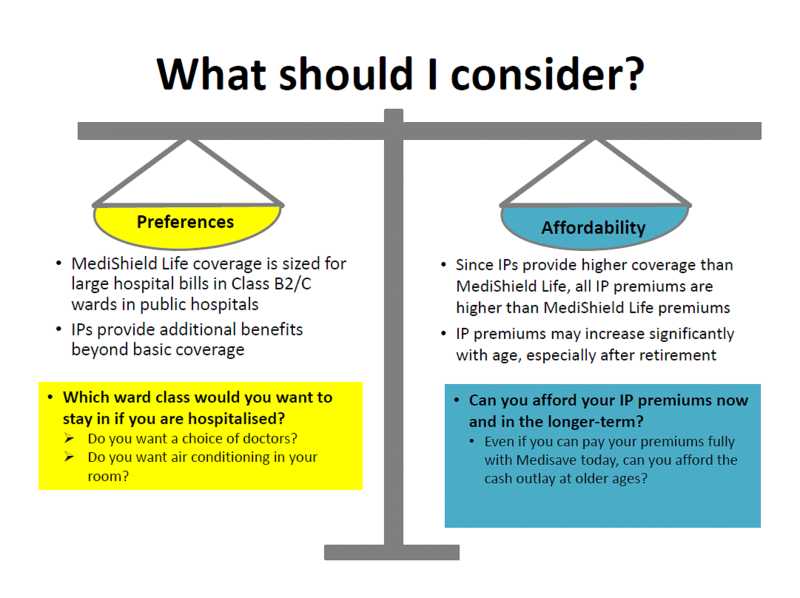 In the discussions prior to the launch of MediShield Life, which covers everyone for life, many people expressed concern over rising IP premiums. They were also confused by the different benefits offered by the various insurers. The MediShield Life Review Committee suggested setting up a standard B1 plan to make things easier for people who want private treatment but at more affordable rates. It also gives people on more expensive IPs the choice of downgrading to this standard B1 IP if they find their current premiums too expensive. Patients in B1 class can choose their doctor while those in subsidised B2 or C class cannot. There are currently seven B1 IPs, of which three no longer accept new policy holders. Of the four that are still taking in new policy-holders, three are "as charged" plans, which means there is no cap on treatment costs. The no-frills new standard B1 plan has claims limits, such as $1,700 a day for a patient in a B1 ward, and $2,900 a day in intensive care. The MOH said this plan should be able to cover 90 per cent of all B1 bills. The new B1 plans are effective from May 1, but insurers can start marketing them from March 16. 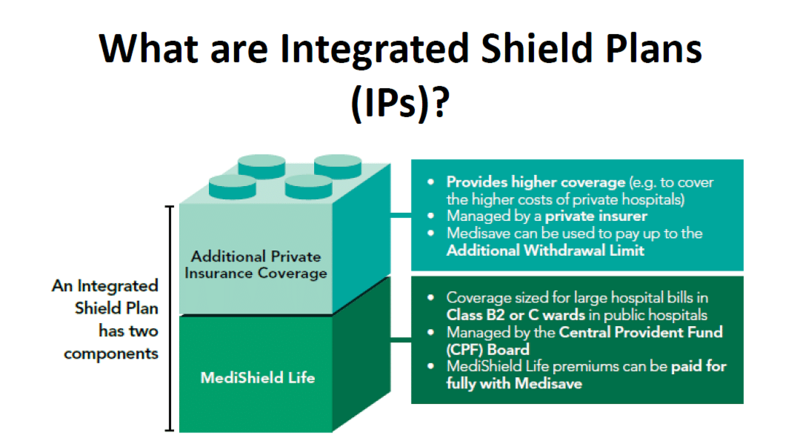 Integrated Shield Plans: To keep or not?